I just found out that Neil Armstrong, the first man to set foot on the moon, has died at 82. It was odd. I read the words and it seemed unreal. It was only when it started to sink in that the first person to set foot on the moon had died, did the tears start to come. I’ve read a lot of history. Humans have managed a lot of outstanding achievements. Empires, feats of engineering like the Pyramids. The Great Wall of China. Double-entry bookkeeping (as L. Sprague de Camp might offer). But the moon? I was born in March of 1972. The Gene Cernan left his footprints on the moon in December 1972, when I was an infant of nine months. Since then, in nearly 40 years, we have not been back to the moon. It not only makes me sad, as a fan of science fiction, it seems almost inconceivable. The Golden Age of science fiction is ripe with stories about humanity heading off to the moon. Or Mars. Most of the stories were pessimistic, predicting the first moon landings in the 1980s or 1990s. We ended up doing it in 1969. It is incredible to me. I wasn’t even born yet, and people 10 people had walked on the moon. Sometimes, when I think about it, it boggles the mind. The not only went into orbit around the Earth; they left orbit, went to the moon, landed on the surface and walked around. In all of human history, in all of the countless billions of human beings whoever lived or died, only 12 people ever walked on the moon. Compared to those odds, throwing a perfect game in baseball looks easy. There was an optimism during the Second World War and immediately after, that we could do just about anything. Certainly, the Soviet Union putting up Sputnik stirred us in ways that have never quite been replicated since. But it seems to me that science fiction writers of the 1940s and 1950s felt that the moon was an obvious and easy target (Mars, of course, was second in line), and most seemed to feel that we’d be living on the moon before the turn of the century. And perhaps we should have. Beginning in about 1998, I grew obsessed with the Apollo missions. I had decided–a little late–that I wanted to be an astronaut, and I read every book on the subject that had ever been written. I just so happened that HBO came out with its fantastic (and to this day, in my opinion, its best) miniseries, From the Earth to the Moon, and I was hooked. I was living in Studio City, a suburb of Los Angeles at the time, and I really imagined for a while that I could stand on the moon one day. I took flying lessons, and earned my private pilot license in April 2000 in large part because I thought it would help me in my quest to fly in space. I’ve done two of the three and I really can’t complain, but with the passing of Neil Armstrong–someone whose very name embodies strength and vitality–I am once again yearning for the stars. To this day, it is no surprise to me that my first published story was about a young college graduate who, as a graduation present, received tickets to the moon. Sitting in First Class, on a flight from Hawaii to Washington, D.C. in 2005, I started reading (and spent most of that red-eye flight reading) a biography of Neil Armstrong. 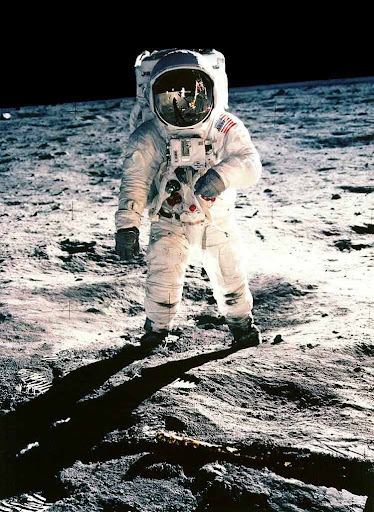 If there was ever a “perfect” person to be the first to set foot on the moon, it was Neil Armstrong. He knew that the weight of history would be thrust upon his shoulders and rather than take advantage of it, bask in it, profit from it, he kept out of the public eye for the most part. If nothing else, I sure hope that Armstrong considered his achievements every once in a while: “I was the first human to set foot on the moon. Eleven others came after me, but no one can ever take away the fact that I was the first. And because of that, my name will live forever in human history.” It is the least that he deserves. Neil Armstrong died at 82 years old, a respectable age. But he set foot on the moon more than half his lifetime ago. I wonder how the fact that we hadn’t been back in 40 years plagued him? He was a private person so it is hard to say. But he was also a trailblazer. When he set foot on the moon, I often wonder if he imagined that what he was doing would be routine forty years later. There are most certainly lots of American heroes. But if I had to put one at the top of my list, if I had to pick one who made outstanding achievements but was humble enough to see his place in the scheme of things, it would most certainly be Neil Armstrong at the top of my list. And I sometimes wonder: records are there to be broken. Just like in baseball, given enough time, a new name will move to the top of the list. Who will be the next Neil Armstrong? Who will be the first human to set foot on Mars and open up a new chapter in human colonization? I sure hope those science fiction writers in the 1940s and 1950s had it right. I hope we don’t give up and keep striving for that dream of climbing that next mountain because it is there. We have Neil Armstrong to live up to now. Rest in Peace, Neil. You did the human race proud, a rare achievement, itself worthy of sainthood, no matter what you believe. Well, said, Jamie. Well said. The Picture shows Buzz Aldrin.